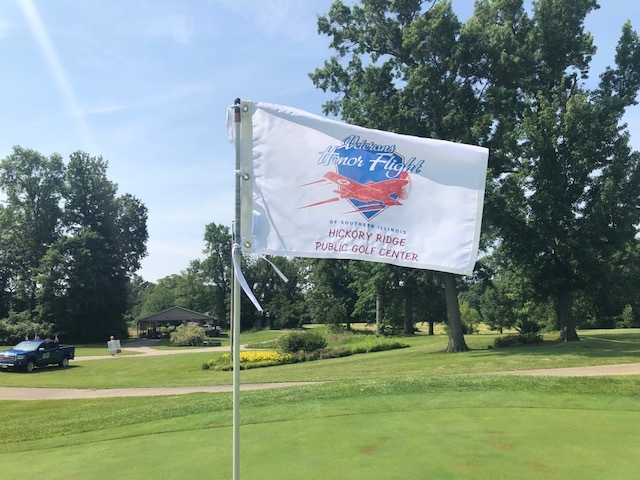 The 2nd Annual Golf Scramble Committee is once again planning the 2019 Golf Outing Fundraiser to raise money for future Honor Flight Trips for our local veterans. 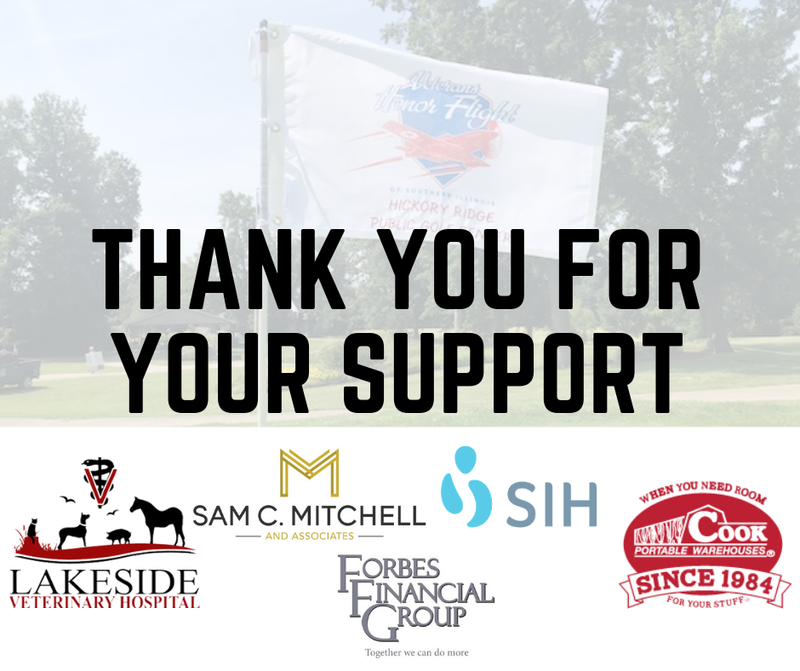 As I am sure most of you are aware, the 2018 fundraiser was a tremendous success and we were able to donate $35,000.00 to Honor Flight of Southern Illinois. 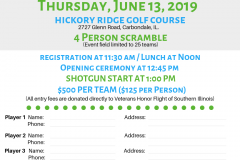 The event is scheduled for Thursday June 13th at Hickory Ridge Golf Course and we hope to be able to make a nice donation to Honor Flight, with the continued support of the Southern Illinois area. Individuals or businesses may choose to sponsor from a variety of levels. 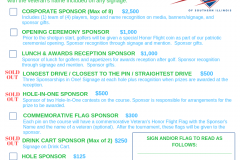 All sponsorship’s may be made in honor of a veteran with the veteran’s name included on any signage. 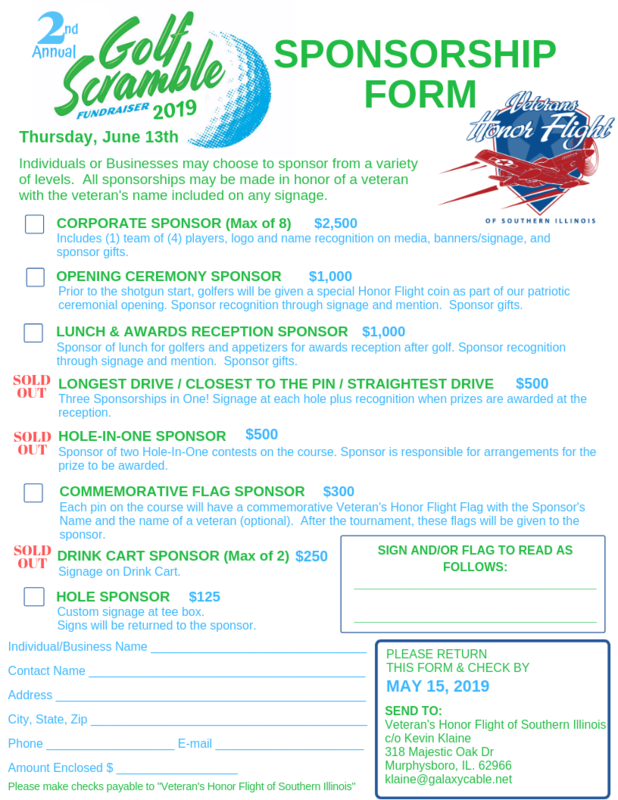 Please return the sponsorship form by May 15th, 2019. 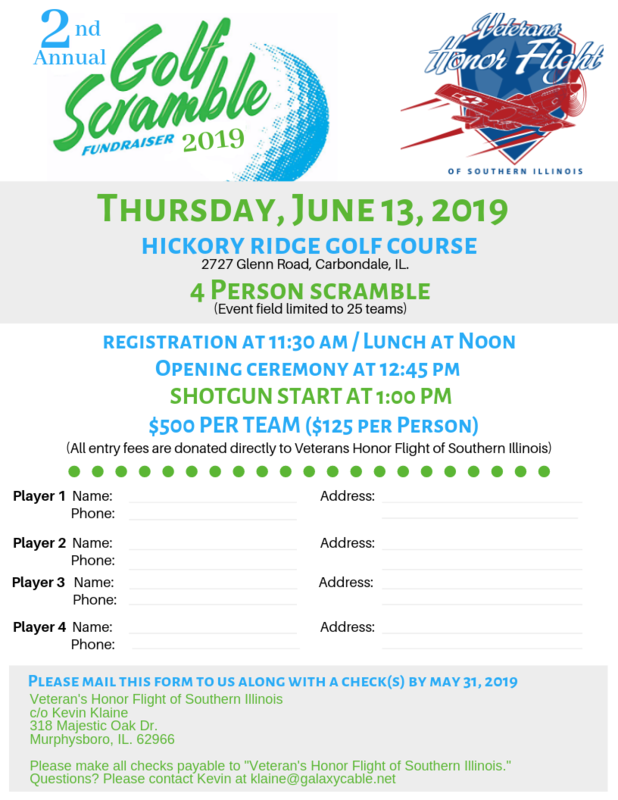 We would appreciate you considering some type of sponsorship to help us raise money for the Honor Flight of Southern Illinois. 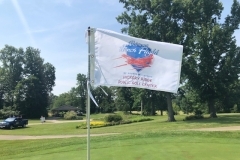 Interested in playing golf? Below is the team form that will need to be completed and sent in by May 31st, 2019. 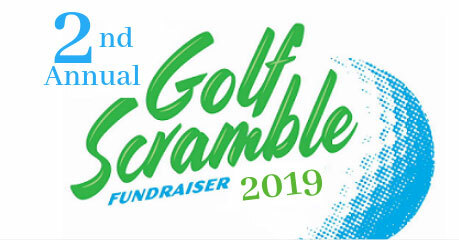 We will be limiting the field of golfers to 25 foursomes, so that everyone can have an enjoyable day of golf, while raising funds for this very worthwhile cause. 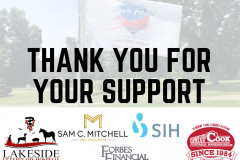 Thank you to our Corporate Sponsors for making this event possible! If you have any questions or need additional information please feel free to contact Kevin at Klaine@galaxycable.net.